MO-2011 Puma FTD, 2015 Mercury, Price Reduced!!! 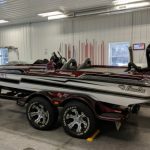 Home › Forums › Bass Cats For Sale › MO-2011 Puma FTD, 2015 Mercury, Price Reduced!!! This topic contains 5 replies, has 5 voices, and was last updated by CanAmCat 2 months, 2 weeks ago. 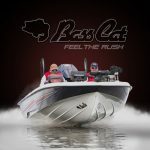 Do you know why Basscat went completely through the boat – put on a new motor and set it on a new trailer? Was it in some kind of accident? Also confused a little by triangle live wells and glass side rods. I guess I didn’t know they were available on a 2011. Brad828, is your boat still available?